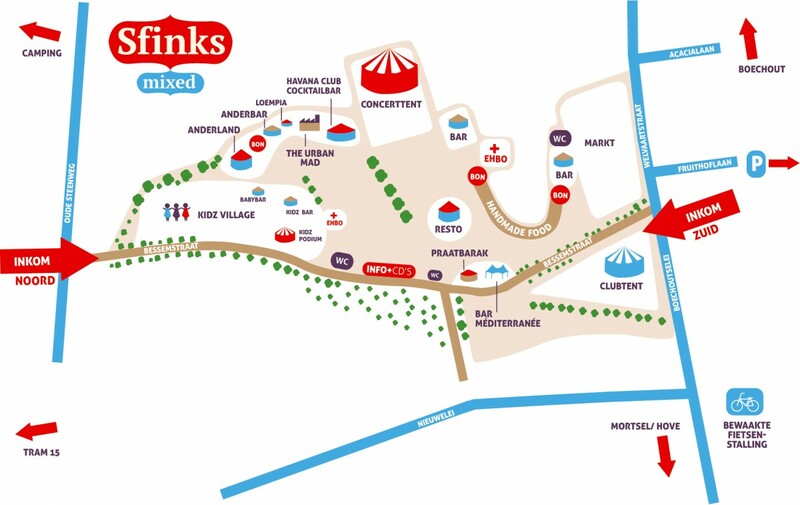 The four day free festival Sfinks Mixed in Boechout (Belgium) will present its 44th edition this summer. The festival is known for its unique and adventurous musical offer and festive side programme, building bridges between different cultures. Since 1975 Sfinks has been programming artists from all over the world. Visitors discovered stars like Khaled (Algeria), Youssou N’Dour (Senegal), Mory Kanté (Guinea) and Cesária Évora (Cape Verde). After the first successful four editions the past years, the festival is free again in 2019! Music that makes you want to dance, intimate concerts, today’s best DJ’s… You can find it all on Sfinks Mixed between July 25th and 28th. But there is more. Children even get their own festival in the Kidz Village! On the festival grounds you will also encounter joyful parades and travelling acrobats all through the day. On the colourful world market you will find unique stuff and information about beautiful projects from all corners of the globe. Sfinks Mixed 2018 is on from Thursday 26th till Sunday 29th July.